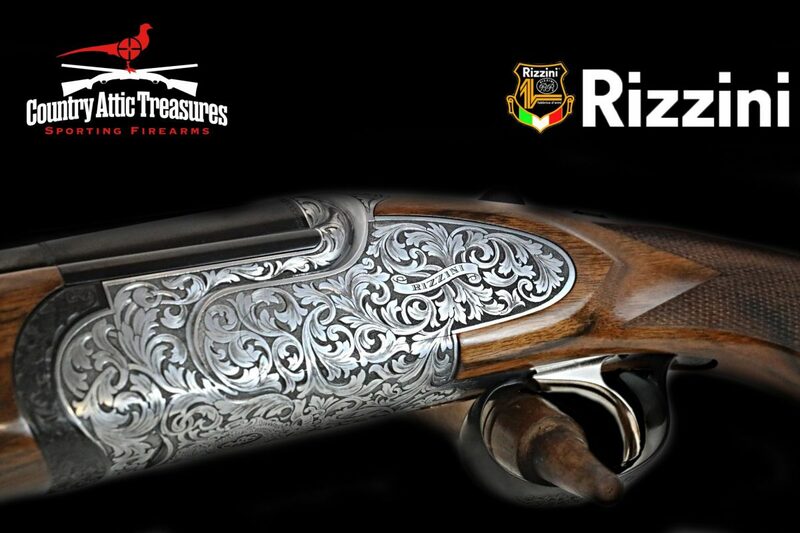 The mastery of the Round Body design is undeniable at Rizzini. 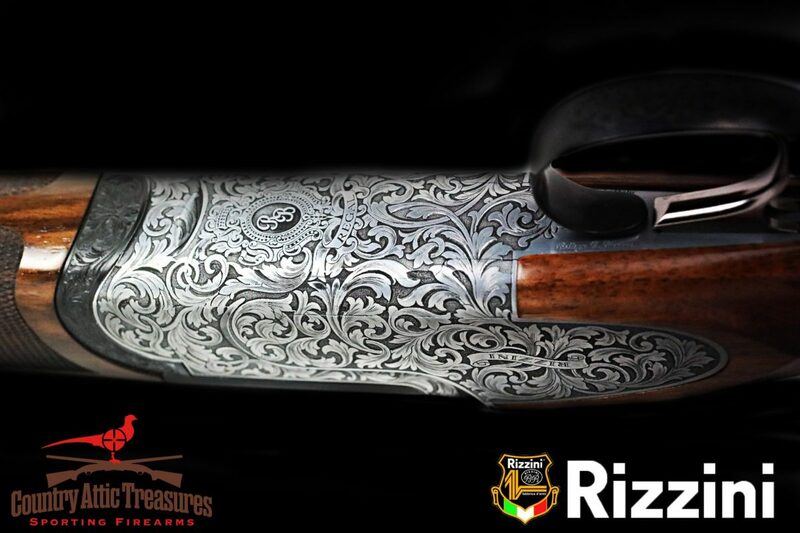 New for this year, the Regal, which embraces exceptional craftsmanship and elite shooting performance, fashioned with upgraded Turkish walnut wood and adorned with an eye-catching design throughout the side plate. 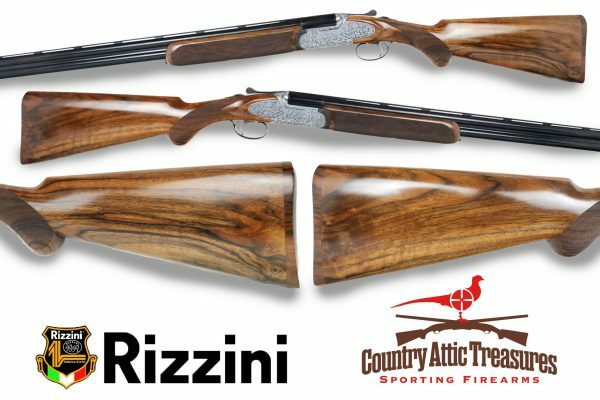 Rizzini’s award-winning over and under hunting models assure you will be heading into the field with the best of its kind. Our actions are scaled to the gauge offered. These elite field guns handle as well as they look. Single selective trigger, ejectors,screw-in flush chokes, ventilated rib, coin or color case-hardened frame, engraving,cased. ACTION: Low profile, case-hardened or coin finished round box lock, frame with side plates. ENGRAVING: Hand finished, full coverage foliate scroll, from Bottega Giovanelli. MECHANICS: Automatic ejectors, single selective trigger. BARRELS: Cr Mo steel, chrome-lined bores, glossy blued. RIBS: Comes standard with ventilated rib (solid rib is on EL model). 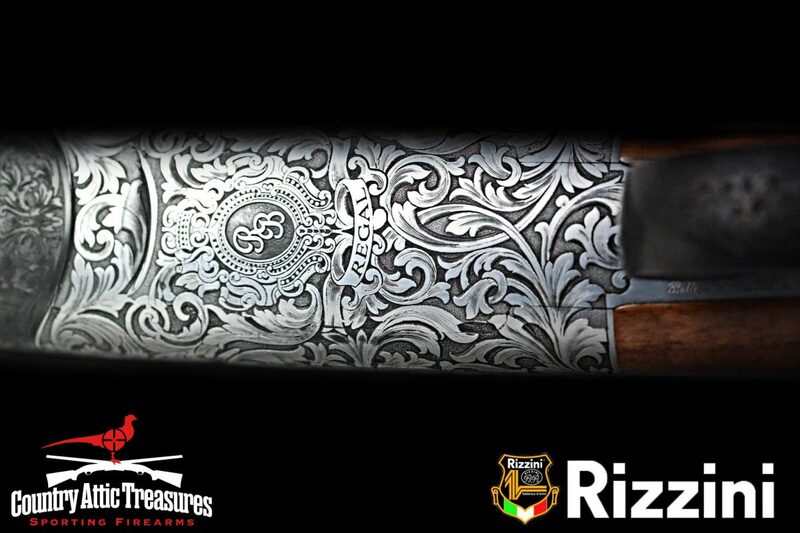 STOCK AND FOREND: Prince of Wales pistol grip stock and straight forend in select Turkish walnut, 26 LPI checkering. Polished oil finish. WEIGHT (LBS. ): 20 ga – 6.5 lbs.